It’s a question that I get asked a lot these days. Twist Image became a part of the WPP family about a year ago, we changed our creative direction, we rebranded and became a founding member of a new, global marketing agency called, Mirum, and now we’re tweaking the work that we do to be more forward-focused and more representative of our clients needs (and where they need to be), when it comes to marketing and technology. It’s an evolution. And, with that change comes both opportunities and challenges. Several months back, I was asked to be a part of The CEO Series. It’s an in-depth radio show hosted by Karl Moore the distinguished associate professor of Strategy and Organization at McGill University‘s famed Desautels Faculty of Management. Moore’s current area of interest is in postmodern leadership and globalization. He’s also a contributor to the Globe and Mail, Forbes and beyond. Our conversation was broadcasted into select radio markets this past week. It was just posted online for anyone who wants to dive a little deeper into the agency business, how to market a business and where brands are headed. 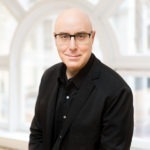 Here is our conversation: The CEO Series – Mitch Joel – President of Mirum.